The opposite of love is…. “But as regards love, I am sure the Bible is right: the opposite of love is not hate but fear. There is no fear in love, but perfect love casts out fear.” William Sloane Coffin, pastor and peace activist, said this thinking about today’s passage. Many would think that the opposite of love is, naturally, hate. But read verse 18 in today’s text…”There is no fear in love, but perfect love casts out fear…” “Perfect love casts out fear”…this talks about the relationship between those who claim to believe in God who is creator and judge of the world. If we only see God as the God of power, demand and justice, then we will naturally lean to approaching God with fear. However, if we understand God first as the God of love, perfect love, then we approach God with confidence. God’s love is perfect and our love is perfected because we trust in God’s love. 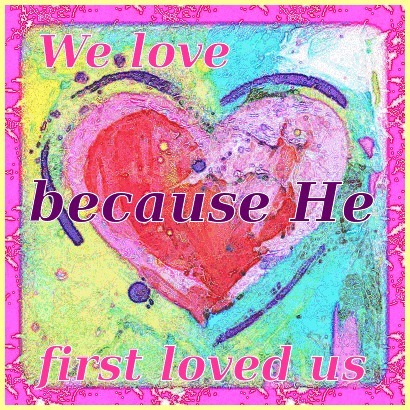 “We love because he first loved us”. Reminds us of John 3:16. Pay attention to the verse…it does not say, we should love because he first loved us. It says that we can love because he first loved us…we have trust and confidence in God which says we can love without fear and in this, then, comes the basis for new possibilities like the subsequent verses in this passage. It seems to me that what the author of our passage was worried about was the concern that Christians, those who claim to love and follow Jesus, would think about their faith as truth and love without the foundation of knowing that the one on the cross was and is loving and true. “Finding God’s voice in the midst of this noisy world is not easy. 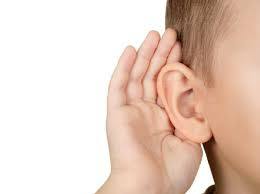 So many voices clamor for our attention, and so much noise tends to shield us from the voice of the One who, as Evelyn Undersell said, ‘has everything to tell us and nothing to learn from us.’ However, millions of people have learned how to ‘read the signs,’ that is, to observe how God has acted and is acting now, to listen attentively, and to receive knowledge and direction from a source greater than they are. Finding God’s voice, will, and/or desire has to do with listening; that is listening as we read the Bible, listening in our prayer times, and listening in community and in worship with followers of Jesus at our church. Today and always, may we listen to what Jesus has to say and wants to speak into our life. 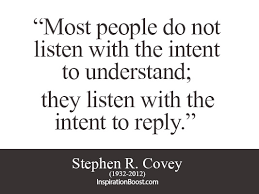 May we develop a habit of listening and then doing what Jesus wants. I am sure you call are able to think of a time (or many times) that you anticipating something great that you were looking forward to for a long time. In the upcoming year, for example, I am looking forward to our first family trip to Orlando so Creighton can see the Mouse. I look forward to things like Fridays after a long work week. I look forward to getting together with family and friends for different occasions. Throughout life, we all have those things that we hope for and anticipate. Sometimes, we can hardly wait for those things to come true. Like a small child staring at all of the presents under the Christmas tree, at 5 AM on Christmas morning, waiting for mom and dad to finally wake up so they can be opened. But how often, after the much anticipated gift or event is over, does the feeling of excitement fade away? That shiny new toy loses its luster. After time passes, that thing that was once great becomes just another thing in your life. The gift of the salvation, Jesus, by God’s grace, is a gift that will not lose its shine. It will not fade. It is for ALL who hear and believe, regardless of previous lifestyle decisions. Let us give thanks to the Lord our God for sending His son to us, to reconcile us to Him, and give us the greatest gift; that which will last forever. Amen! This will be my last blog post for awhile. Along with feeling a bit dried up as far as writing goes, God has given me the opportunity to have a tremendous impact on lives here in the U.S. and around the world through Trades of Hope. I plan to spend the bulk of my energy on furthering the mission and vision of this terrific organization over the next 3 months and hope to return to sharing through the blog with renewed energy, focus, and a heart filled to overflowing with inspiration and God’s Love. I hope you’ll take a look at the link “Gifts of Hope” which is a short video that will help you understand my passion. Previously YHWH raised a leader when Israel call for help. In this instance, Gideon is first used as a prophet to indict Israel (6:11-24). Gideon seems to have been chosen to serve despite his lack of faith (6:13). Gideon was aware (6:14-16) of God’s will prior to the wet blanket (6:37). The fleece strengthens his faith and gives evidence to others that God was on their side. It appears that some of Israel, possibly led by Gideon’s father (6:25), were worshipping Baal’s wooden gods. The lack of numbers (7:4-8) indicates that God is capable of blessing no matter how small the congregation against an adversary no matter how large (7:9-25). The community of Israel was so impressed with Gideon’s performance that he is offered it’s leadership (8:22) position. He declines in favor of God’s kingship (8:23). This history, like much of the OT, is a sorted tale. Israel had really lost it’s way. Nevertheless, YHWH received them back when they called on Him for deliverance. As far as being called to accomplish God’s purposes, the level of one’s faith may or may not be a consideration. For instance, God used a complete outsider to Israel in Cyrus of Persia (Isa. 44:28-45:4) to release captive Israel from Babylon. This is the same Cyrus who is extensively written about by Herodotus (“Histories“, Book 1). I’m always interested in reading accounts of biblical characters, outside our Bible. Just as I’m interested in what an archeologist might come across in their Middle Eastern explorations. Of course, these interests can be viewed as a lack of my own personnel faith. Even so, as I just penned, I’m still at God’s disposal?! I can’t recommend the laying of blankets outdoors, at night, as a way of discovering God’s will in Joliet, IL in the 21st century. There are less esoteric ways of approaching that problem (cp. Prov. 3:5-6, James 1:5-8) available to us. Gideon’s pulling down Baal’s god’s (6:25-33) is similar to Elijah’s (1 Kings 18:26-29) contact with Baal on Mount Carmel. A kudos should be awarded to Gideon for his declining Israel’s kingship. It is an unusual person that deny’s oneself the throne and all it’s trappings, when it’s offered. His reasoning apparently coincides with that of Samuel (1 Sam. 8:1-9). Going forward, at least until spring, I going to stick to commenting on the OT Revised Lectionary Readings. They very much agree with my enjoyment of great literature – that is stories worth knowing. I will let the other bloggers grapple with the NT, Reformed Theology, and the like. I start each day by saying good morning, and as she leaves for work I say “I love you.” I actually tell her that often during the day, but more than the words alone, I am faithful to her. I work very hard to provide for her needs, I support her when she is feeling lonely, sad, sick, distraught. I comfort her, cheer her up when she is down, I show kindness to her, I protect her. I do most of the yard work, maintenance on the house and cars, and the things that a husband is expected to do in our culture. On her behalf, she tells me she loves me and shows similar attitudes of kindnesses, and grace, plus she does my laundry. She does the shopping for groceries, most of the cooking, most of the cleaning, and pretty much lends an attitude of happiness in the house. She does the things that a wife is expected to do in our culture. Now how about showing God our love for Him? He doesn’t eat, so we can’t cook for Him, He doesn’t need laundry done, or grass cut, and He’s never lonely so a hug won’t do any good. So what do we do? As we live our lives we should be aware of the leading of the Holy Spirit working in us, maturing us in love, joy, peace, patience, kindness, goodness, etc. in our relationships with our spouses, friends0, co-workers, and acquaintances. In so doing we not only are showing them true love, but showing God that we love Him too. What we see here in the oldest of the scriptures is the same truth that Jesus taught to the pharisees. “You shall love the LORD your God with all your heart, soul, mind, and strength, and your neighbor as yourself.” Job remained true and faithful to Jehovah, and proved his love for his neighbors by praying for them, though they showed contempt for him, still he was willing to be their advocate, and reconciler. Job had options, he chose well. He proved his love for God Most High by genuinely loving his friends. An estimated 40 million American adults are affected by some sort of anxiety disorder (Anxiety and Depression Association of America, Facts & Statistics), and approximately 8.3% of youth have been diagnosed with anxiety disorders (Youth.gov). I encourage you to watch this nearly 15 minute video clip of Simon Sinek about the millennial generation and anxiety and struggles in the workplace as adults. We live in a society that seemingly has an increasing difficulty with dealing with life. As I sit here and type, I can say that I have had my own struggles with anxiety in my lifetime. I’m not talking about temporary anxiety, like, oh my gosh, I don’t know if I am ready for this math test. I’m talking a constant anxiousness that lasts for weeks, months, or even longer. For those of you who don’t struggle with something like this, you are probably thinking something like this…”What’s the big deal? Just get over it!” If only it were that easy. Those who struggle with generalized anxiety disorder (GAD) truly have trouble controlling it, and the more they try to not be anxious, the more anxious they become. It is a downward spiral that never seems to want to go away. That Don’t Sweat the Small Stuff thing is easier said than done for someone who fights this battle. I can’t really explain how, when, or why it started for me. I can’t explain if or when it will come back again. As I sit and type now, I am on an upswing and am feeling good about things. I think that I find when I am struggling the most, it is also at a time when I have tried to put too much trust in myself and humanity, and therefore, I have lost touch with my relationship with God. I believe that it is largely because we seemingly live in an increasingly godless world, where people are just living their lives and getting away from religion. For me, I always come to a point where I have to re-center myself through scripture, and place my trust in the hands of God. The more I try to control my own life, the more I lose control of my life. But when I place my trust in the One who actually does have control, I find peace and comfort knowing that I don’t have to do this on my own. This passage from Psalms is a great example of a scripture reading that grounds me and reminds me that God is at my (our) side always and I am safe from my enemies because of Him. “My God, my God, why have you forsaken me?” Likely, it is because I have forsaken Him first. As our new year continues, my prayer is for all of you who suffer the same anxiety that I have battled, that you remember who is really in control, and put your trust in Him. For those of you who may enter times of anxiety in the future, I pray the same. I am reminded that God created us all for a purpose, and He made us just the way he meant for us to be! God created…and it was GOOD. We aren’t supposed to be like everyone else, or be something we are not. We are supposed to be exactly who God intended us to be, and nothing less. God bless! Lord, because you have made me, I owe you the whole of my love; because you have redeemed me, I owe you the whole of myself; because you have promised so much, I owe you my whole being. Moreover, I owe you as much more love than myself as you are greater than I, for whom you gave yourself and to whom you promised yourself. I pray you, Lord, make me taste by love what I taste by knowledge; let me know by love what I know by understanding. I owe you more than my whole self, but I have no more, and by myself I cannot render the whole of it to you. Draw me to you, Lord, in the fullness of your love. I am wholly yours by creation; make me all yours, too, in love.